It’s been a really fun year to work at our Honda dealership near San Diego, CA, due largely to the fact that that the Honda brand has done so many new things with the latest Honda Civic. Watching all the iterations roll out is pure joy for autophiles, especially because as soon as we think we’ve seen them all, the automaker proves us wrong by introducing yet another great new member of the family. For those that haven’t noticed, Honda cars are adding both Android Auto and Apple CarPlay to their technological arsenals, which means drivers of Honda automobiles in and around Lemon Grove, CA are about to be treated to the most convenient, easy-to-use infotainment systems they’ve ever encountered. Now, Honda engineers are adding these features to the 2017 Honda Pilot. It used to be that if kids wanted to entertain themselves in the car, they’d have to just stare out the window and play the License Plate Game or I Spy, but today there are so many more opportunities to keep them busy. From cell phones to tablets to MP3 players, kids have no shortage of activities to keep occupied on both long road trips and standard daily commutes, but Honda engineers understand that there are better uses of young people’s time than just watching movies or blaring music. There are books to be read, as well, which is why the automaker has put so much into the Honda Road Readers app, available right now to San Diego, CA Honda customers. Perhaps you’ve heard that Honda vehicles are incredibly reliable autos on the face of the planet. And if not, may we present to you the recently restored 1969 Honda N600, the first Honda vehicle to puts its tires to American pavement. Admittedly, the version of Honda N600 that still runs has spent the better part of 2016 undergoing massive restoration, but the fact that a vehicle this old could find itself up and running at all just goes to show how great the automaker was even in its infancy here in the United States. 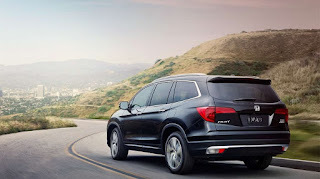 In case we haven’t mentioned this enough over the course of the last several months, the Honda CR-V is proving to be a popular vehicle in the auto industry, which means the Honda brand probably could have done very little for the new model year version of the vehicle and still enjoyed plenty of success. However, the automaker is never one to sit on its laurels, which means they actually have introduced some nice features in the new 2017 Honda CR-V, soon to be available to drivers in San Diego, CA at Pacific Honda in the coming months. At this point, it probably is more than fair to say that the new 2017 Honda Civic Hatchback is a rousing success, not only with customers here in San Diego, CA, but all over the country. 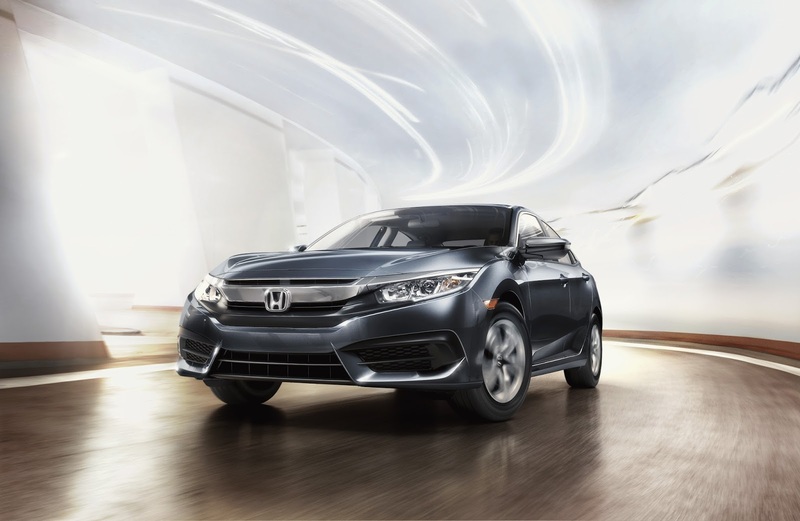 However, that shouldn’t come as too huge a surprise considering how excited people were when the Honda brand debuted their plans for the updated line of next-gen Honda Civic models. Believe it or not, it already has been just about a year since Honda released the Honda HR-V crossover, which means it’s time for drivers near San Diego, CA and beyond to gear themselves up for the latest model year version of the burgeoning compact CUV. Granted, the Honda brand hasn’t really changed a whole lot about the Honda HR-V just a year after introducing the inaugural iteration of the vehicle. But in the year since its debut, it has built quite a reputation for itself as an efficient, green automobile, meaning all the reasons customers fell in love with the Honda CR-V are all the same reasons that customers have fallen in love with its smaller, more affordable sibling. A new model year means a little fine-tuning, a few miscellaneous tweaks, and even a new exterior paint color. It’s not the complete overhaul some models get ever few years, but it’s enough to keep the crossover fresh and updated. The new paint color is a notable change change, as Lunar Silver metallic paint will replace the Alabaster Silver of 2016. Beyond that, however, the Honda HR-V still boasts a number of great features, including a huge suite of advanced safety tech, loads of easy-to-use infotainment features, and an efficient, refined engine capable of producing upwards of 141 hp and 127 lb-ft of torque. If you're interested in taking the 2017 Honda HR-V for a test drive, come pay us a visit here at Pacific Honda and one of our sales associates will get you behind the wheel for a test drive. Like all Honda dealers, we’re always excited to get our customers set up with vehicles we think they’re going to love, and just like last year, we think our customers are going to love the latest version of the Honda HR-V.
Let’s say it’s time for an oil change, or you’ve got some sort of major auto repair that needs done, and you’re trying to decide where you should get all of that work completed for a reasonable price. Plenty of people opt to go the cheap, corner auto store route, doing whatever they can to save as much money as possible. However, at Pacific Honda, we’d argue that reaching out to our friendly Honda service center near San Diego, CA would be a much better choice for the overall health and integrity of your automobile. It is hard to find anyone these days who isn't completely and utterly infatuated with the 11th generation upcoming 2017 Honda Civic, and anybody who has even test driven one understands all of the reasons why. Of course, fans of the sedan haven't seen anything yet, as the automaker has started to do some trials with the Type R iteration of the Honda Civic, and when it arrives at your Honda dealership serving Lemon Grove, CA within the next year, you'll get a better sense of just how great the new Honda Civic model line really is. The all-new Honda HR-V is still the baby of the family here at Pacific Honda, which means we still have our fair share of customers that aren’t entirely sure what they would think about owning one of them long-term. Many return buyers have owned Honda Civic or Honda Accord models for years and feel completely comfortable purchasing new versions of those, but even a test drive of the Honda HR-V wouldn’t give an all-encompassing picture of what it would be like to own the small crossover over time. Knowing that, how is a customer supposed to get a better idea of what long-term ownership would be like? As a Honda dealership serving Lemon Grove, CA, we are very aware of just how important Hispanic culture is in these parts. According to the most recent census information, exactly one-third of the San Diego, CA metropolitan area is of Hispanic or Latino descent, which in this instance equates to well over a million people. Many of them claim Spanish as a first language or are, at the very least, bilingual, so it makes sense for the Honda brand to come up with a Hispanic-focused series of advertisements to appeal to all those Spanish-speaking customers right here in our own backyard. 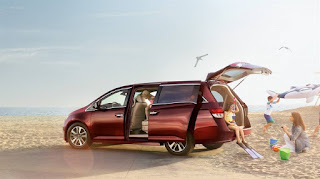 Every summer, Honda dealerships all over the country receive the latest shipments of many new Honda cars, SUVs, and minivans, which is what makes it the perfect time to hold the annual Summer Clearance Event that allows us here at Pacific Honda to offer up some of the sweetest deals of the year on the outgoing model year’s inventory. Honda Giving Away a 2016 Honda Odyssey! For those who follow sports, summer is definitely the season where baseball is king, and we’re not just talking about the adults who play it professionally for obscene amounts of money. Summer also is when millions of children all over the world don their sponsored t-shirts and colorful ball caps to play Little League, an experience that culminates in the sport’s elite event, the Little League World Series, held annually in Williamsport, PA. The Honda Accord recently celebrated its 40th birthday, proving that while so many automobiles have come and gone over the years, the truly great ones are more than welcome to usher themselves gracefully into middle age. Of course, it’s a little unfair to call a vehicle as sharp and modern and technologically-advanced as the Accord “middle aged” when it looks a lot more like a stylish twentysomething, but one thing we can’t deny is that in its four decades of life, the Honda Accord has continually figured out how to appeal to the masses and remain one of the most popular automobiles in the industry. That’s the reason we celebrate the vehicle’s 40th birthday here at Pacific Honda, and that’s why San Diego, CA Honda customers continue to buy these celebrated sedans as we get underway in their fifth decade of existence. The Honda Accord first made its way to the U.S. in 1982, when the Honda brand set up a manufacturing plant in Ohio that would eventually prove to be the first successful non-domestic auto plant in the country’s history. By 1989, the already popular Honda Accord would continue its rise to fame in the U.S., the first time that such an honor would go to a vehicle not developed and manufactured in Detroit, MI. Anybody is welcome to come celebrate with us by taking the 2016 Honda Accord for a test drive here at Pacific Honda. One of our sales associates would love to get you behind the wheel of this esteemed automobile, if only so you can see just how far the Honda Accord has come over time. It’s come a long way from the little 74-hp sedan we first saw in the ‘70s, and we’re looking forward to seeing how it continues to grow in the future.